The Sweet Classic Premium is Nike Sportswear's latest "Year of the Dragon" offering. 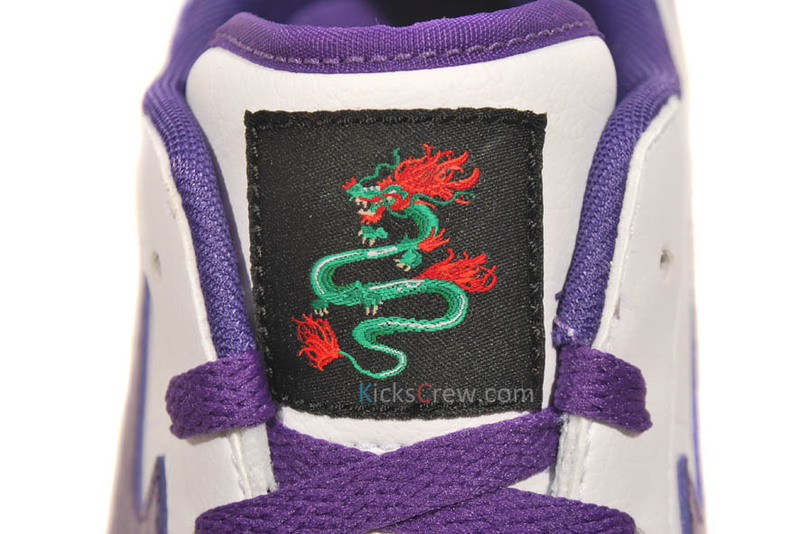 Another day, another "Year of the Dragon" sneaker surfaces. This time around, it's Nike Sportswear's Sweet Classic Premium, which arrives in a new white-based look in celebration of Chinese New Year. Club Purple pops up on the laces, textile inner lining, "2012" heel embroidery, scale-textured leather Swoosh branding and a line that wraps around the base. Black fills in the heel tab and dragon-stitched tongue badge. A white vulcanized sole caps off the look below. The "Year of the Dragon" Sweet Classic Premium is currently being shipped to select Nike Sportswear retailer locations. No word yet on an official stateside drop, but we'll keep you up to date here at Sole Collector.